Rochelle Rae is an Austin-based makeup artist and entrepreneur who recently launched her own line of cosmetics. My degree is in fine arts. I was actually painting on canvas long before I was painting on faces. I modeled for a short time (wrong side of the camera for me, I was way more comfortable behind the scenes). I met a makeup artist and it seemed like she had a really awesome, fun and exciting job. (It is!!) So I moved out to LA and went to the Makeup Designory or MUD, stayed out there for a while but was always planning to come back to Austin, which I love. Do you have a mentor in the field? I am lucky to live in Austin, a town of entrepreneurs and mentors. Everyone has been very open and helpful offering advice, helping me learn from their successes and failures. It seems like everyone wants everyone else to be successful. I haven’t always experienced that in other places. What has been your best career decision? 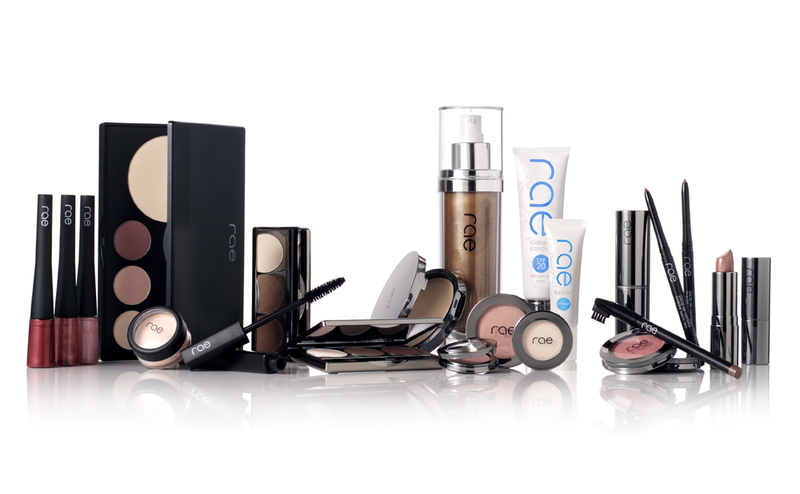 Taking the leap and starting Rae Cosmetics! How did you decide to take the leap and start Rae? I knew there was a segment of the population that wasn’t being reached by the makeup brands already on the market, namely us sweaty girls. Active and athletic women who still wanted to look pretty and wear makeup. Deciding to go ahead and try to make that brand was scary and expensive. I had a lot of support from my family and friends but I think they were probably even more scared than I was. If this didn’t work I would be broke. They stood behind my every decision and I am so grateful they were and are there for me. What is your favorite thing about doing makeup in Texas? Texans are usually very friendly and it makes working fun. There is such a large variation of styles that it is like having a new job every day. What is your favorite/go to beauty product on set? The Climate Control Mineral Tint is the best product ever, it is great for every situation. 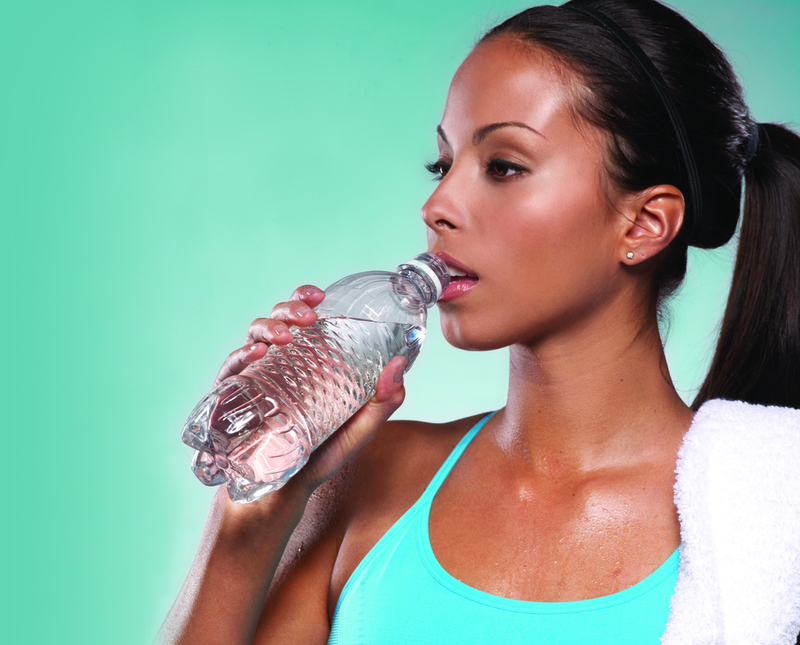 It is a moisturizer, sunscreen and foundation in one but best of all it stays on when you sweat. So if you’re outside in the sun, working out in the gym or under hot studio lights, the makeup always looks awesome. Who are you inspired by? I am not really impressed by “celebrity.” I have been really fortunate to meet some amazing women though and because it takes time to do their makeup I actually am lucky enough to get to have conversations with them. I was lucky enough to be Liz Carpenter’s makeup artist before she passed away. A fabulous and funny woman, Liz was a writer, feminist, reporter, media adviser, speechwriter, political humorist and stood in the forefront of the Women’s Movement. She joined the staff of Lyndon B. Johnson in his campaign for Vice President in 1960 and traveled on his foreign missions as a press spokeswoman. After Kennedy’s election, she became the first female executive assistant to the vice-president. Sarah Weddington is another in the forefront of the women’s movement. At 26 years old she argued Roe v. Wade before the Supreme Court and won. She is an advocate of women and children and has helped to pass many laws to support and protect their rights. Liz Smith, the Grand Dame of Dish. Another amazing woman. New York Times Best Selling Author, columnist, reporter and producer. In the 1960s she worked as entertainment editor for the American version of Cosmopolitan magazine and simultaneously as Sports Illustrated entertainment editor as well. Another woman who paved the way for all of us. These are the women who impress me. I’m not sure I will ever reach “success” but I will strive for it every day! How do you define ‘success’ in your own career? What’s next? Any exciting projects coming up in 2012? Ones I make myself. And I love them spicy! I don’t eat cheese or egg yolks so it is too hard to eat breakfast tacos out. Not really, I hate clutter. I love art, so a small collection of art I hope to grow. I Love Texas Photo is the home for all things photography in the Lone Star State. Workshops, interviews, events and a shop featuring fine art prints by Texas artists.